No one likes to be out in the rain. And yet we still have to go to work, run errands, and live our lives, despite the overwhelming urge to curl up on the couch and watch Netflix whenever it pours. And though I’ll never be ecstatic about dodging puddles while making my way to the A train, the one thing that’s made a wet commute less painful is a proper raincoat. When it comes to buying a water-friendly jacket, there are plenty of options. You have the trendy, incredibly fancy designer versions, like this straight-from-the-runway Miu Miu raincoat. Although they are fashion-forward, they’re usually not that great at keeping me dry (and let’s face it, the only person who looks good soaking wet is Kate Moss). Lesser-priced versions, like this $99 one from Urban Outfitters, are also cute but not so functional. After many soggy days, I decided to invest in a raincoat that would keep me dry but not look like an unflattering poncho. 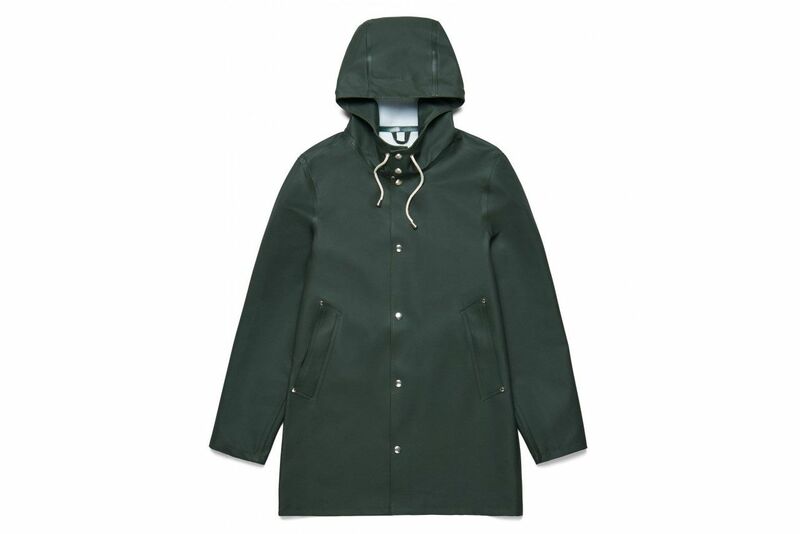 With a little research, I learned that Stutterheim is the expert in making beautiful, high-quality rain gear. The Swedish outerwear brand has spent years studying how to keep people dry in any weather condition — we’re talking hurricanes, flash floods, and arctic storms. 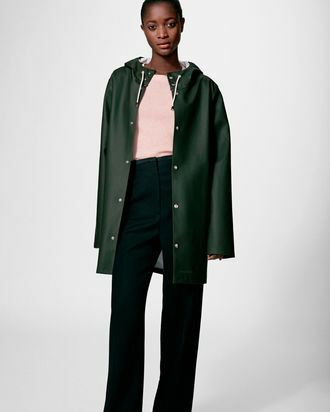 Stutterheim coats its cotton jackets in wax to make them completely water-repellent, yielding a sturdy shield that both blocks water and keeps you warm. The tiny details also add to its value. The coat has double-welded seams so the stitches that keep the coat together will never rip — no matter how much wear and tear it endures. On days when the rain is really coming down, I button it all the way and zero water seeps in. The pockets are fully lined; I can toss my phone in without worrying about water damage. That jacket is so good that on really horrible days when I forget my umbrella at work, I can throw it on with the hood up and be ready to go. The unisex, streamlined style comes in 13 color variations including purple, gray, and black, but I like the green and the navy blue best; they’re unassuming and give my outfit an easy, stylish look that even works on sunny days.